Blue is a rare find in nature. People say there are no blue foods, that even blueberries are more purple than blue. Not true. They’re very blue. And of course some flowers, like bluebells, are blue. Delicate blue. Blue is the color of the ocean, when it’s not black or grey or green or aquamarine…. Blue is the color of my grandmother’s eyes, a beautiful blue. She gave them to my mother. The other day I encountered a blue frog, but didn’t get a picture. I did, however, get a picture of this. 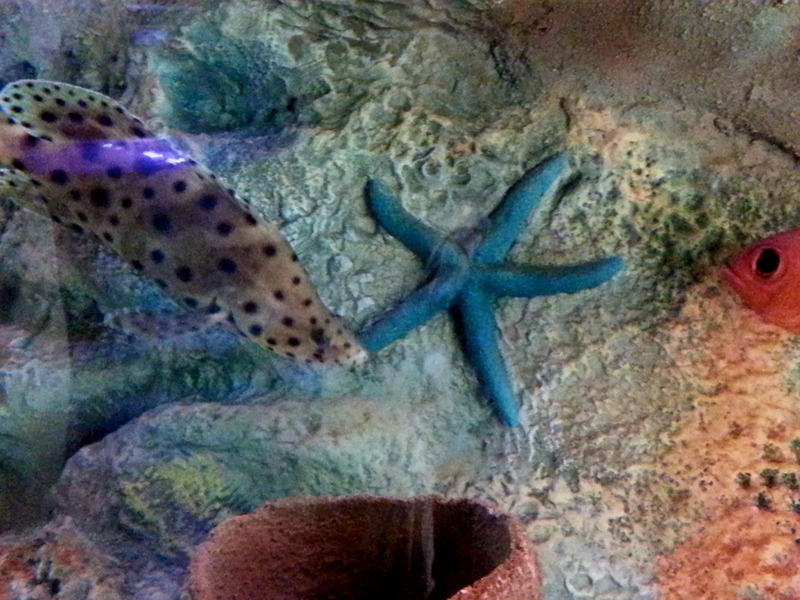 A blue star fish! Nature’s creativity is surprising some times.